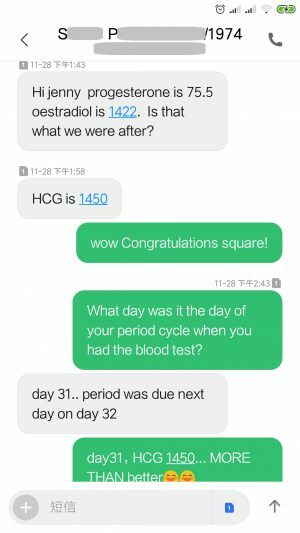 Ms. R.B has confirmed the pregnancy on Day 37 by the HCG blood test on 28 March 2019, which indicated strong attachment with the reading of 1,000+ ! 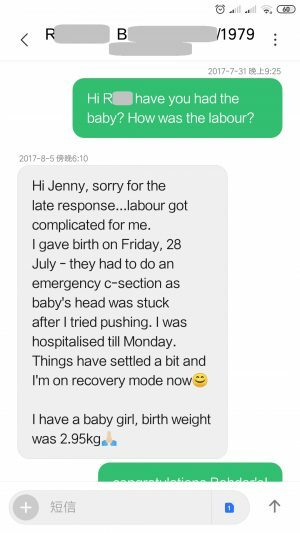 And this is her second pregnancy after our fertility acupuncture, with her first baby born on 28/07/2017! Congratulations to your family, Ayla will have a little sibling soon! 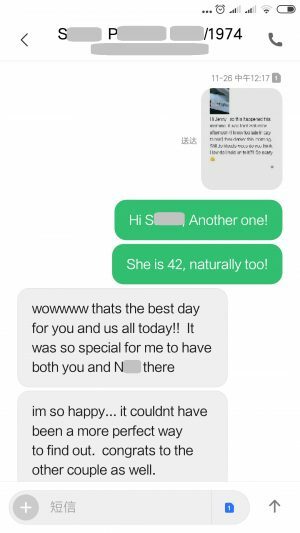 Congratulations to Ms. S.G’s NATURAL pregnancy at the age of 41 in January 2019! 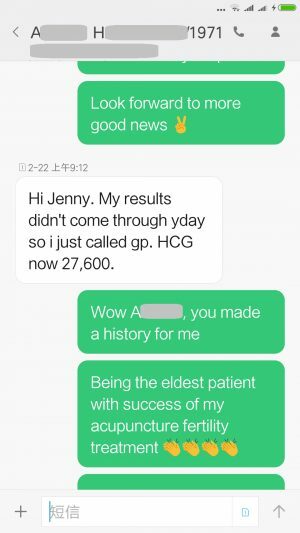 Ms. S.G found herself pregnant naturally in January 2019 and due to her family doctor on new year holiday, she could not have the HCG test but had the scan on 6 weeks 4 days, caught the baby heart beating on 01/02/2019! 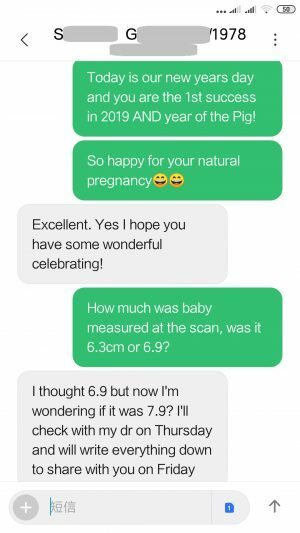 Baby was measured at 6.9cm, healthy and well developed! 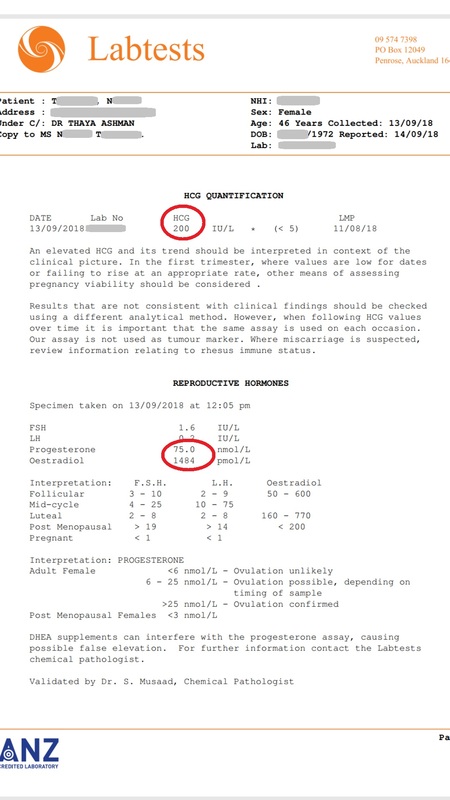 She then had the pregnancy blood test on 04/02/2019 at 7 weeks, HCG level is 64,500! 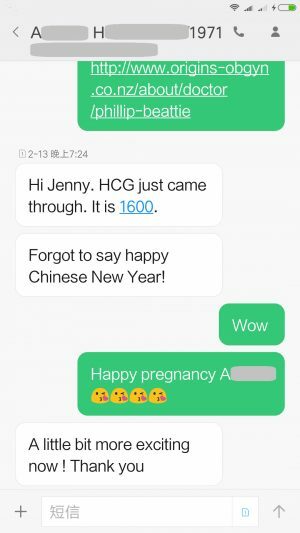 Congratulations to the best Chinese new year present! 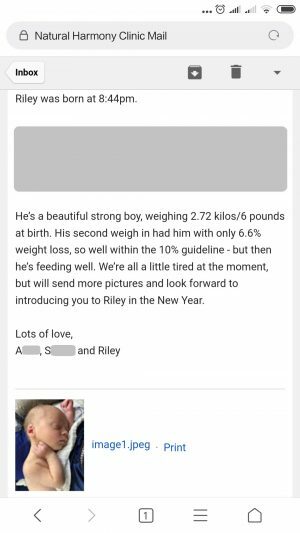 Congratulations to the arrival of baby Riley on 13/12/2018! 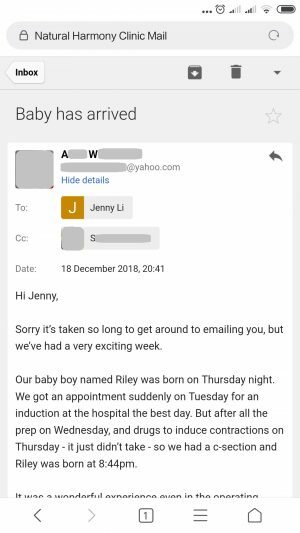 The 7th birth of 2018 acupuncture fertility success, baby Riley was born on 13/12/2018, weighing 2.72Kg! 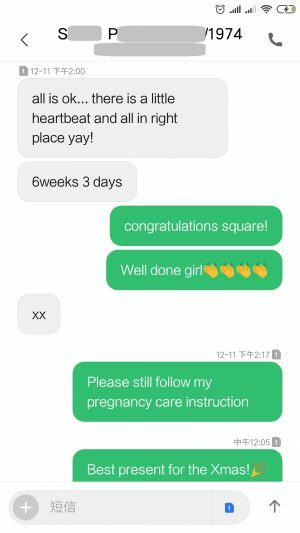 His mother Ms. A.W confirmed the pregnancy on 18/04/2018! Congratulations to Ms. A.W and your family for the best Christmas present ever! Congratulations to Ms. G.L’s natural pregnancy at the age of 42 in November 2018! 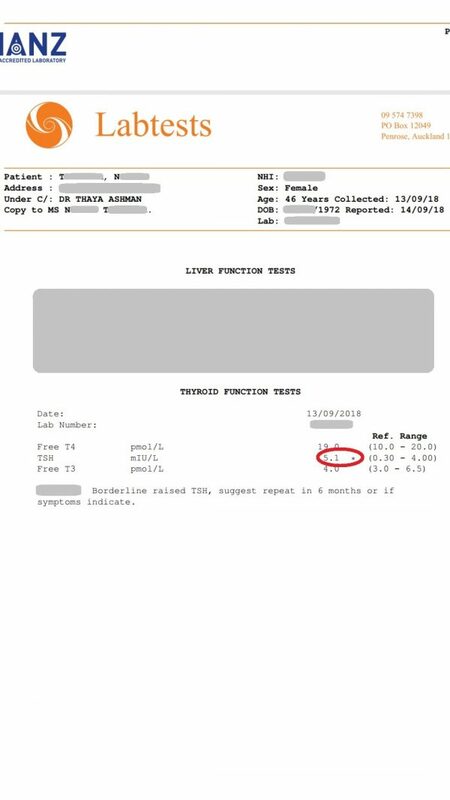 Ms G.L had the self pregnancy urine tests on 24/11/2018 and 26/11, both are positive! 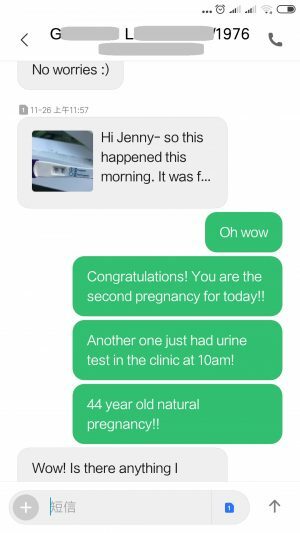 Congratulations to the natural pregnancy at the age of 42!! 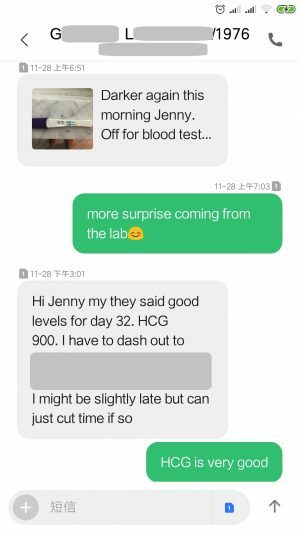 And the chemical pregnancy was confirmed by the blood test on 28/11/2018 Day 32, HCG level is 900IU! 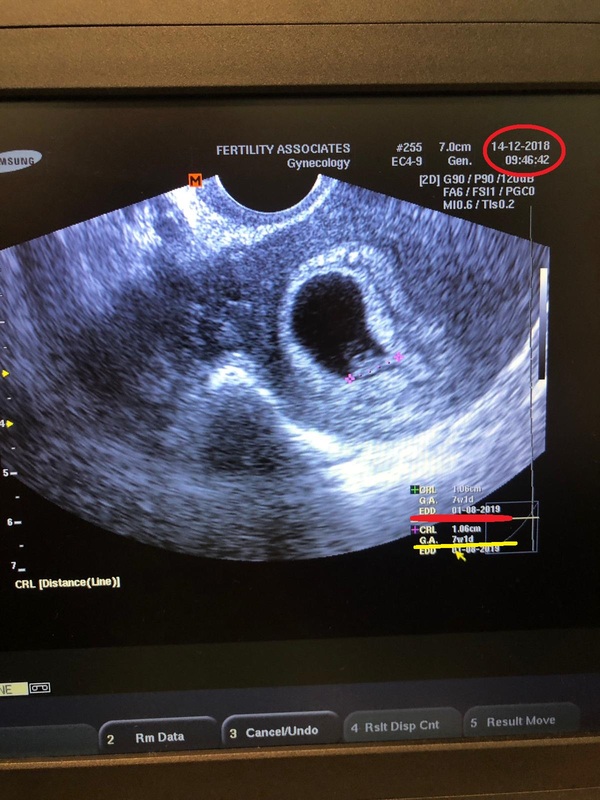 Baby’s strong and healthy heart beat was caught on 14th December, measured 7 weeks 1 day with the due date on 01/08/2019! Congratulations to you and family, you deserve the happiness! Congratulations to the arrival of Ms. A.H's baby on 30/09/2018! The hero mum Ms. A.H had her baby on 30/09/2018 at the age of 47! 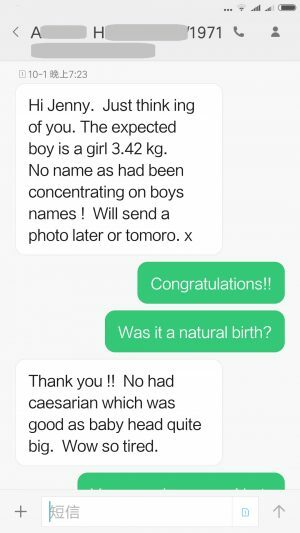 And this is the 5th birth of our fertility acupuncture success in 2018! 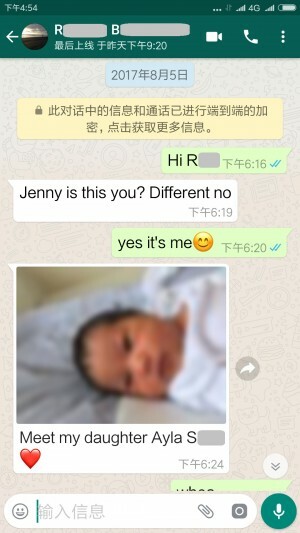 Congratulations to your arrival baby Pine on 20/05/2018! I’m a 45yr old female who suffers from very heavy periods and dangerously low iron levels. 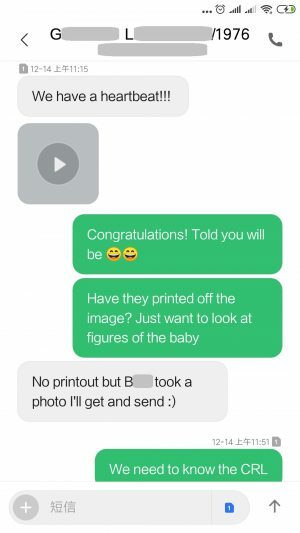 My partner and I tried for years to have a baby naturally, only to be told by our GP as well as many online sources that it was highly unlikely at my age. About 2 years ago we were surprised to be told I was pregnant. Sadly it wasn’t mean to be as our baby had no heartbeat at 6weeks and I eventually miscarried by week 7. 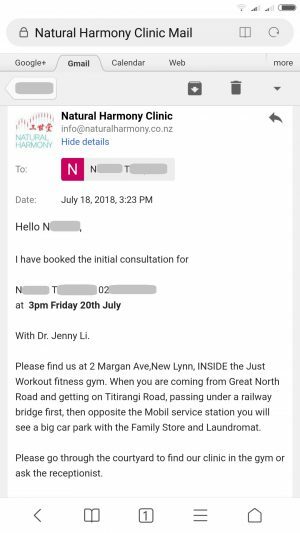 We came across the Harmony Clinic website about a year ago and read all the reviews on the positive experiences many families had through alternative Chinese medicine. Feeling a bit unsure, we thought “what do we have to lose?” At my first meeting with Jenny, I found her to be very knowledgeable about female & male fertility, as she took the time to explain a lot of things to me as well as walk me through ways to improve one’s health and chances of conceiving a baby naturally. 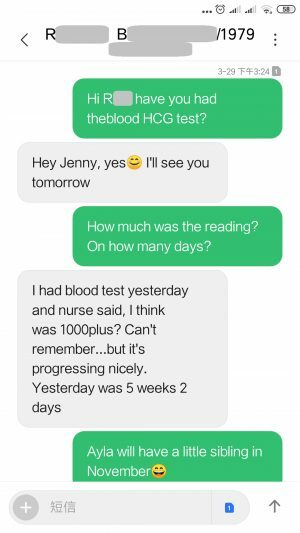 We started the acupuncture treatments on a weekly basis, and every time we attended the appointments – Jenny was always so kind and caring, but at the same time very informative and gave us a lot of sensible and great advice for a healthier lifestyle for both myself and my partner. 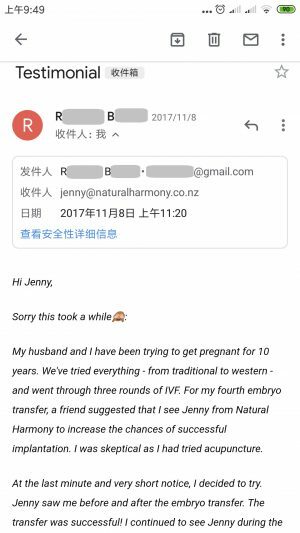 We took on board all of Jenny’s advice and even attended a fertility seminar, which she had kindly invited us to. 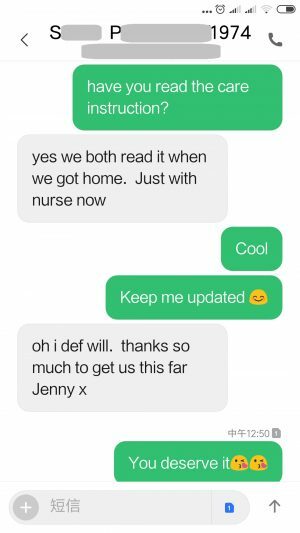 We can honestly say, that Jenny definitely knows what she’s talking about, because a few months after meeting Jenny – our GP confirmed last September that we’re pregnant. 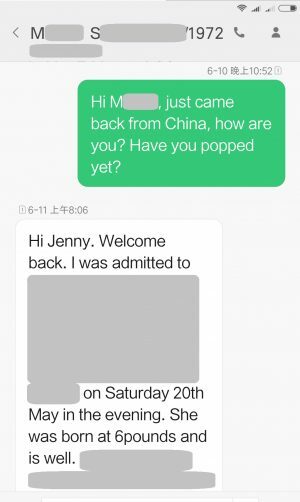 One of the first people we had to tell was Jenny. Because she’s pretty much been with us throughout our journey. At my age everything is harder, the morning sickness was terrible, but Jenny helped with that too. I’m now 6months pregnant, have had 3 scans so far which show our healthy baby girl growing and moving with a lot of energy. 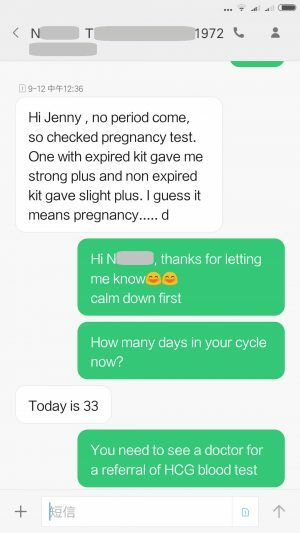 We now see Jenny once a month to ensure I remain healthy throughout the pregnancy. We’ve been through so much, but Jenny has been there every step of the way for us. She’s more than just our acupuncturist – Jenny is like family to us. For anyone who believes it’s not possible to have a baby naturally later in life – we encourage you to not give up hope. Because we didn’t give up. Thank you Jenny for everything. 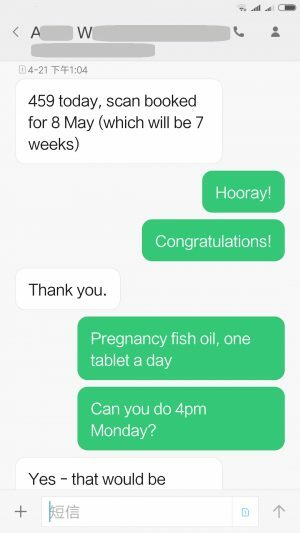 Congratulations to A.W's pregnancy in April 2018! 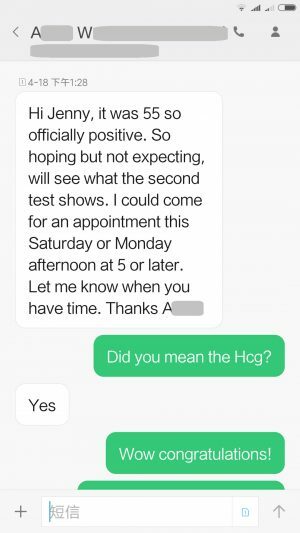 Ms. A.W found herself pregnant by the HCG test! 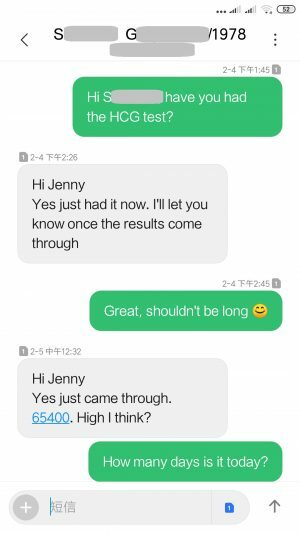 And the second blood HCG test was strong and steady! 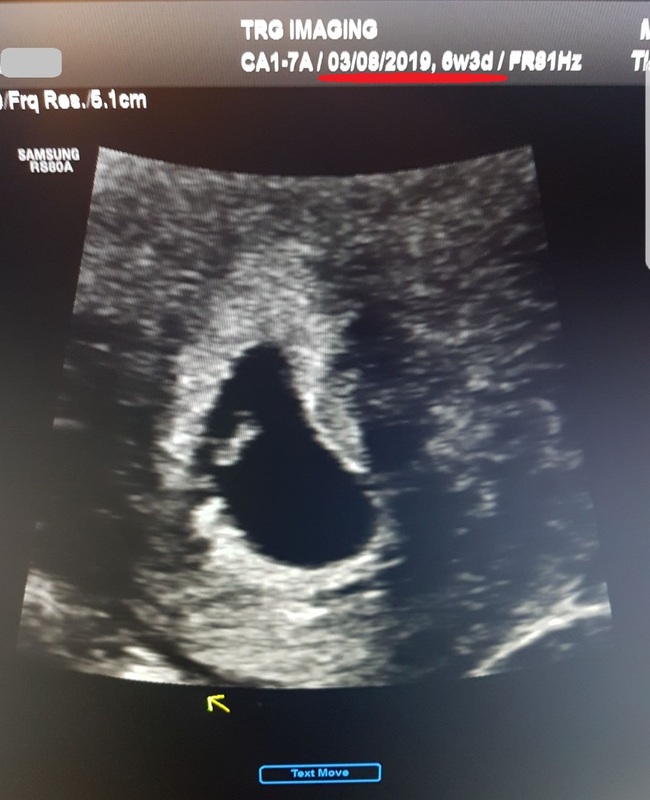 The baby heart beat was caught on 08/05/2018! Congratulations to Ms. A.W and family! 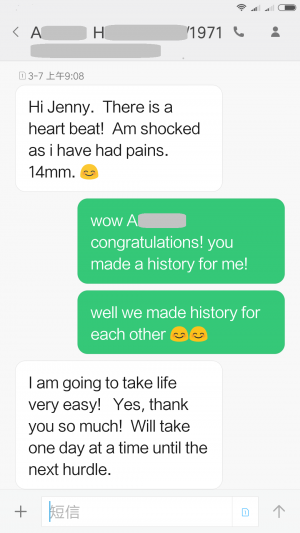 Ms. A.H has caught the baby heart beat and made a history of our practice! 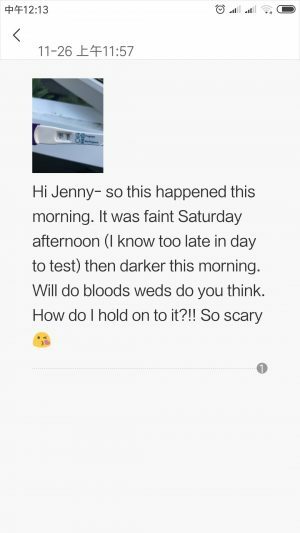 Ms. A.H has confirmed her pregnancy by the first blood test! At the age of 46!! 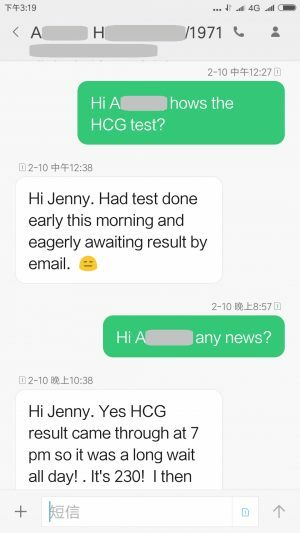 The second and third HCG tests both indicate strong and stable attachment! 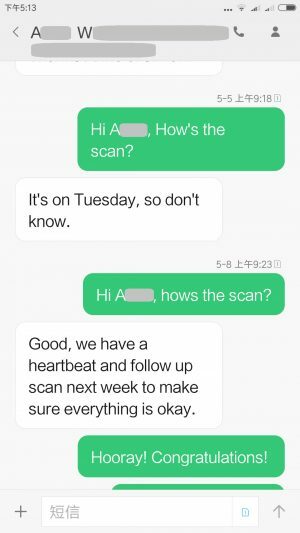 The baby heart beat was caught by scan on 07/03/2018! 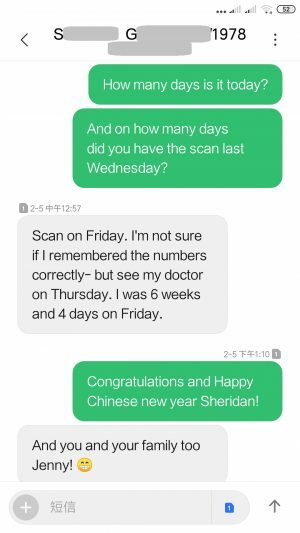 She made the history of our practice for being the eldest patient with success of acupuncture fertility!! Congratulations to Ms. A.H and family!